A tour of various high street and web based outdoor retailers reveals a multitude of brands, types and flavour choices available to hill walkers and expeditioners. What these meals have going for them is basically convenience. Either, add boiling water to the dried food product and wait a few minutes for the rehydration & warming process to take place. Or, eat hot or cold straight out of the foil pack in the case of wet ration foods, similar to those used by the military. 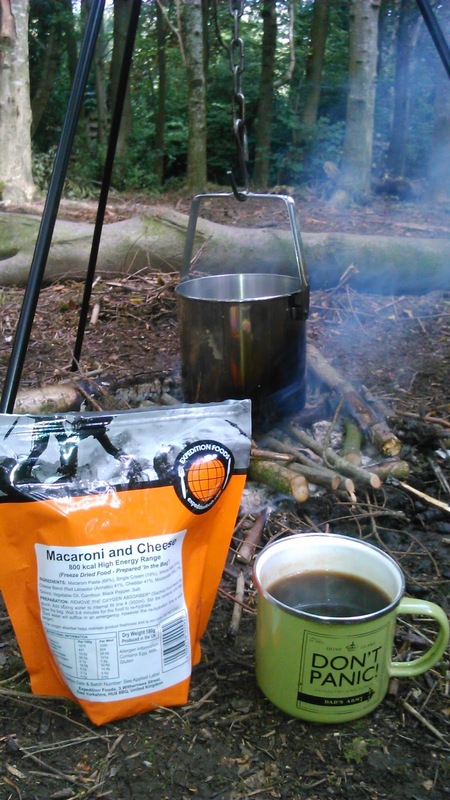 So what makes a good expedition meal? Easy meal with black coffee whilst researching stone age sites in The Peak District. The meals on this test were chosen from a variety of readily available online and high street stores. For this reason army ration packs were not included, although from my work as a Civilian Instructor with the Air Cadets I can say that the commercial wet meals tasted the same as services rations. And so to the basis of the test. I have reviewed a selection of wet & dry meals from several manufacturers, with the following criteria. 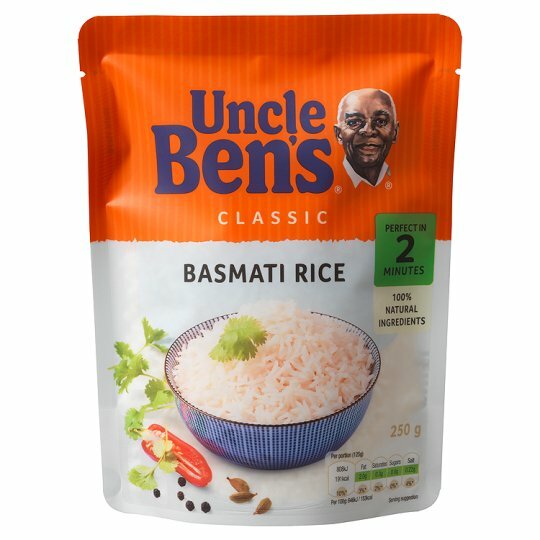 Weight: 150g or lighter [5/5]. 151 to 200g [4/5]. 201 to 250g [3/5]. 251 to 300g [2/5]. 301g or heavier [1/5]. Calorie content: 800kcal or more [5/5]. 799 to 600kcal [4/5]. 599 to 400kcal [3/5]. 399 to 200kcal [2/5]. Taste [5/5 = best down to 1/5] This is the most subjective part of the test. In the first instance have chosen foods which I think I would like to give the most positive review. To give you an idea of my preferred tastes, I enjoy eating fish and pasta. I'm not a big red meat eater, but do like bacon and sausages. I made a point of preparing and eating these meals in the right context. i.e after at least half a day's walking, scrambling and/or running, having worked up an appetite. The main one is cost. At upwards of £4-00 a pack, unless you're sponsored, most hill walkers will only use these products occasionally or maybe for a few days on a special trip. More than this and I think you would soon be craving fresh produce. I once read a feature in Trail Magazine where one of their staff chose to eat nothing but ration type meals for a week. By the end he felt lethargic and uninspired by the prospect of another packaged meal. The experiment was somewhat out of context because these meals are intended for people who are active all day and have presumably worked up an appetite. Another draw back, is that the actual calorific content of some ration packs is actually not very high. 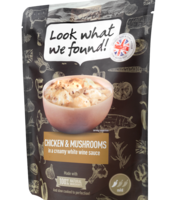 As we can see from the test reports, there are wet packs sold as main meals with less than 300 calories. Wet packs are heavier than dry rations, so if low in calories the net energy benefit after carrying the food around on the hill is even less. Ultimately, regular hill walkers & expeditioners tend to become inventive at making up their own meals and recipes which satisfy taste, energy requirements and cost. But that's the topic for another day. Ration pack lunch break delivering a bushcraft teaching day. 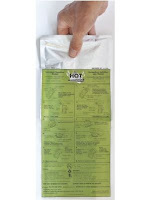 Another option for wet food ration packs is to use a flameless heater: The foil food pack is placed, unopened, into another bag also containing a water activated chemical heater. A small amount of water is added and the subsequent exothermic reaction heats the food pack. These chemical heaters can be bought individually or are supplied with some ration packs, at extra cost of course. As an alternative to outdoor brand wet rations the 'Look What We Found' brand combined with Uncle Bens part cooked rice is a possibility, with plenty of flavour combinations and similar calorie content. 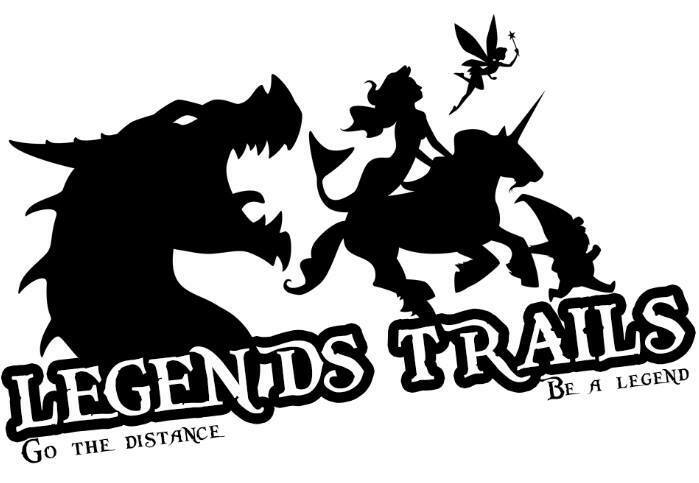 The Spine Race and other multi day ultra / mountain marathon races require participants have to carry their own food, either for emergency or for the duration of the race. Dry ration packs are a good lightweight supplement to any real fresh food which can be procured en-route. However, for long remote stages, racers might consider carrying a wet ration pack with a chemical flameless heater. Hence, the racer can activate the heater and warm the food whilst on the move, thereby saving time in not stopping to wait for water to boil on a stove. The advantage of a convenient hot warm lunchtime meal on a cold winter race like the Spine is obvious to both physical well being as well as a morale boost. Rafa helping out on the taste test.